My Life As I Pin It | Does it pass my pintest? My son has a love for everything soccer so when I suggested a swimming party at the local gym he said only if it’s a soccer party. The best part of this party was how easy it was! The cake was frosted like grass along with the cupcakes. That was my sons favorite part was his grass cake in the goal. 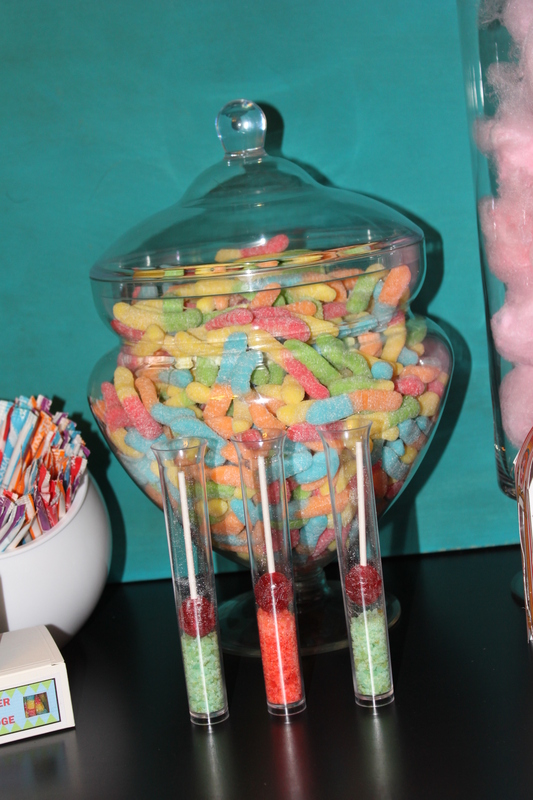 In the past I will be the first one to say I may have gone a little crazy party planning. This year however was a very busy few months and everything was planned and finished in no time at all. No stress and it still has the little guy so excited. The guest tables were all covered in green table cloths with paper soccer balls. 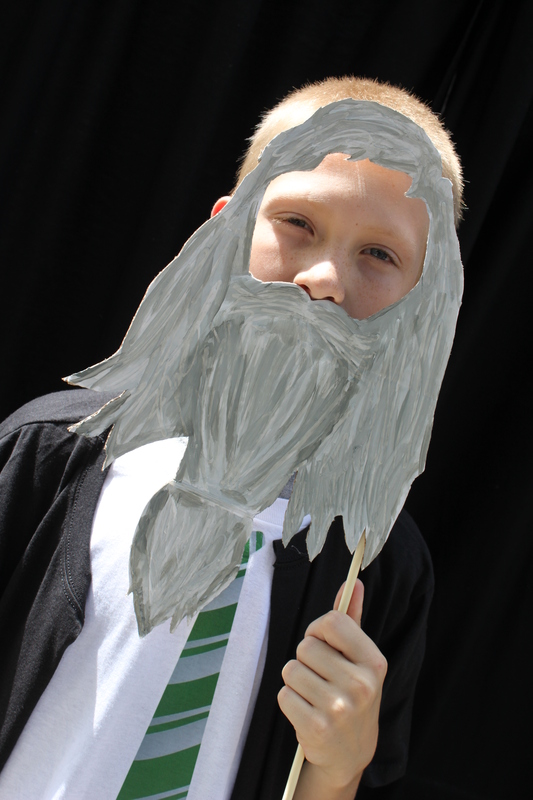 My son started reading Harry Potter at the beginning of 3rd grade. 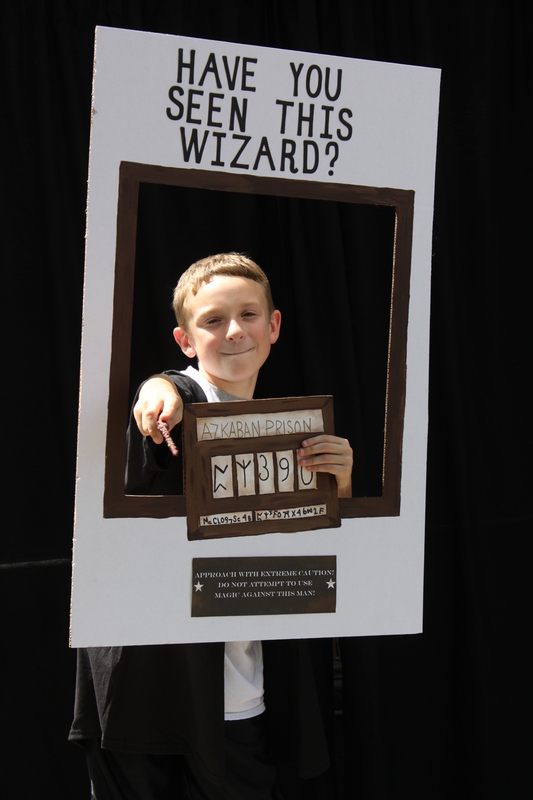 He never much talked about it the first books but then started using Harry Potter lingo in everyday conversation. 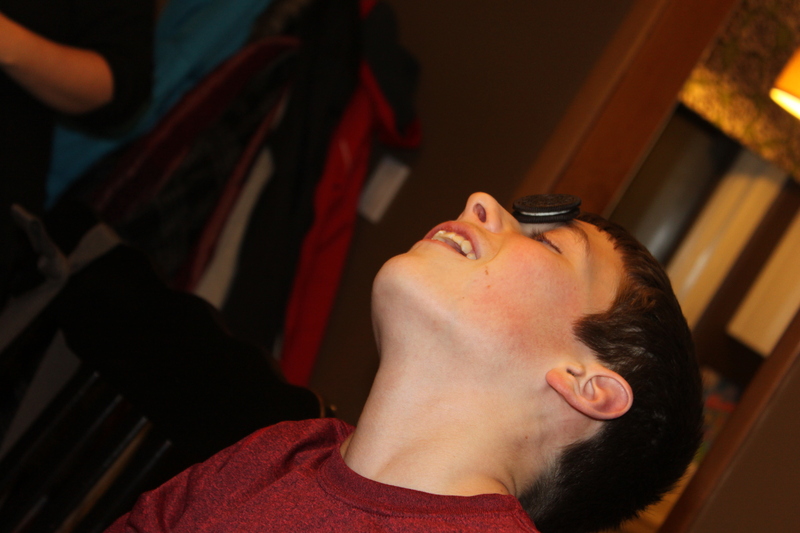 He was hooked!!! After he finished a few of the books we started watching the movies. 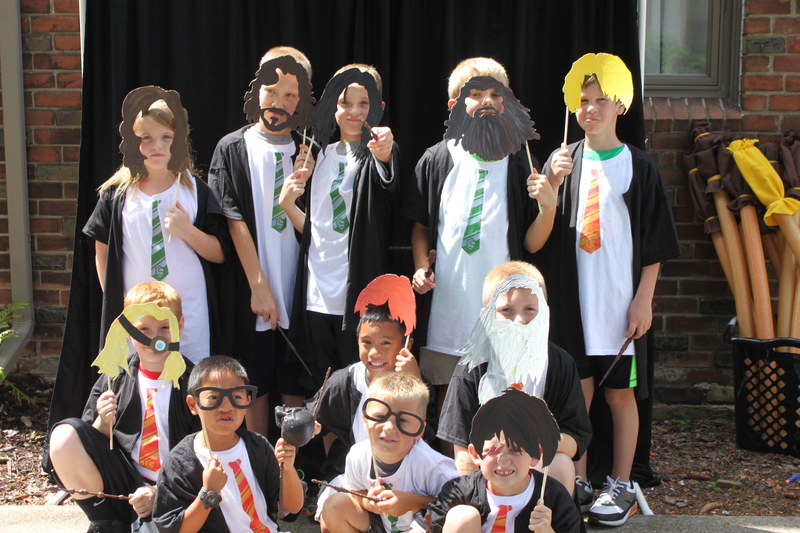 Then he asked for a harry potter birthday party. That was Oct and his birthday was not until August so I half expected him to change his mind. 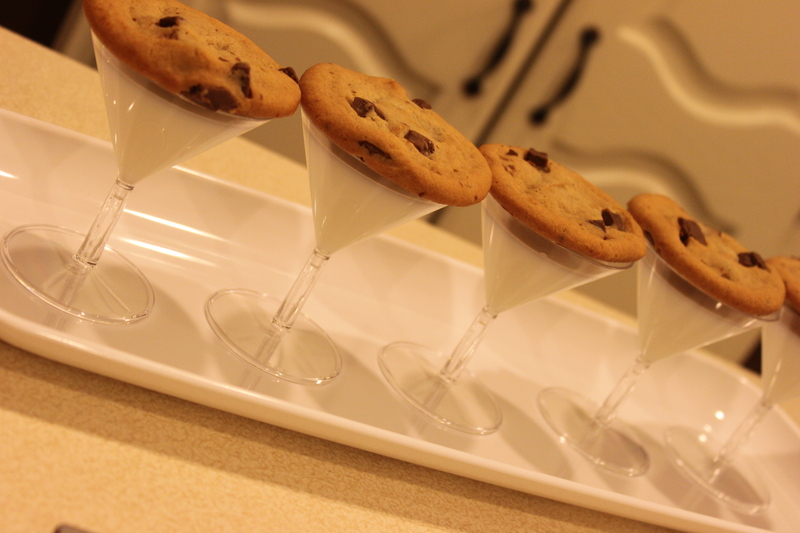 I always let the kids make a few suggestions of the most important items to be included at their parties and then try to work them in in some way. This year his was a long and magical list. 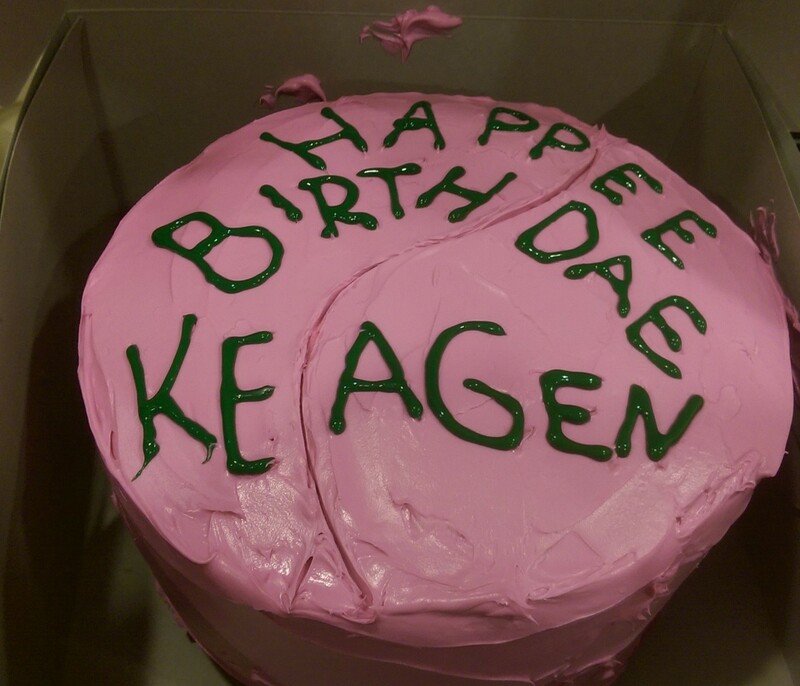 The pink cake Haggard made in the first movie. 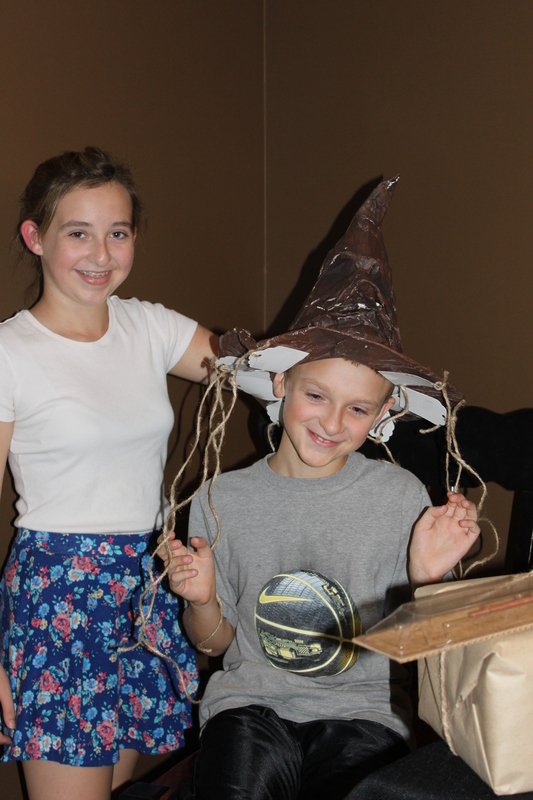 Well some of these request were easier than others but he was extremely happy with our attempts to make magic out of fabric, cardboard, pool noodles, hula hoops, wood sticks, hot glue and other not so magical things we had laying around the house. 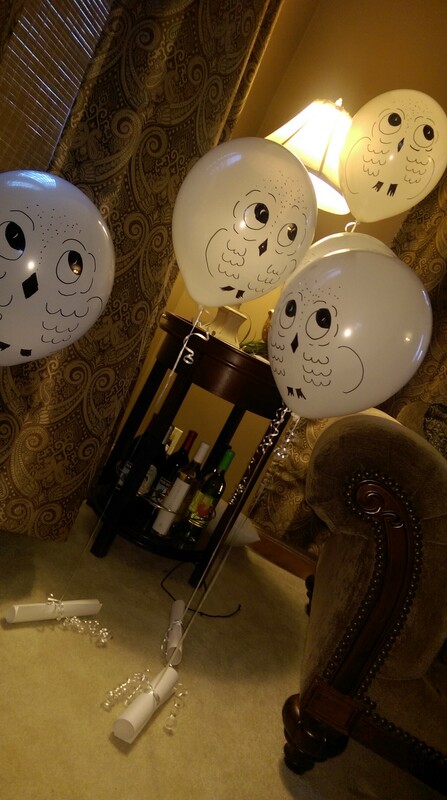 Owl invitations. These were great the only down fall was they had to be hand delivered ASAP. 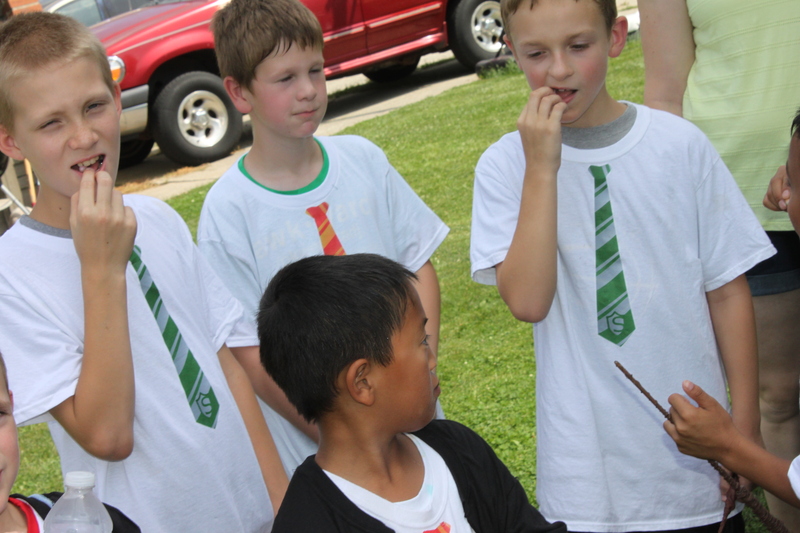 Figuring out how to have the sorting hat place them in Gryffindor or Slytherin was difficult. We only needed two groups so he picked his favorite ones. 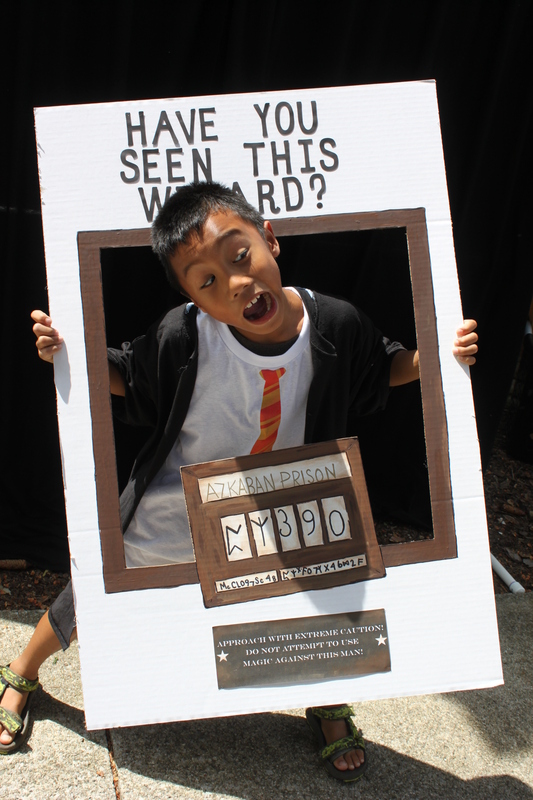 The houses were used this to divided them up for Quidditch teams and potion classes along with the photo booth time. First I was just going to have them draw the team names out of the hat but my son wanted to actually wear the hat. So I decided (that morning) to place tags with numbers on them on the rim of the hat with tape. They put on the hat and pulled one of the strings. 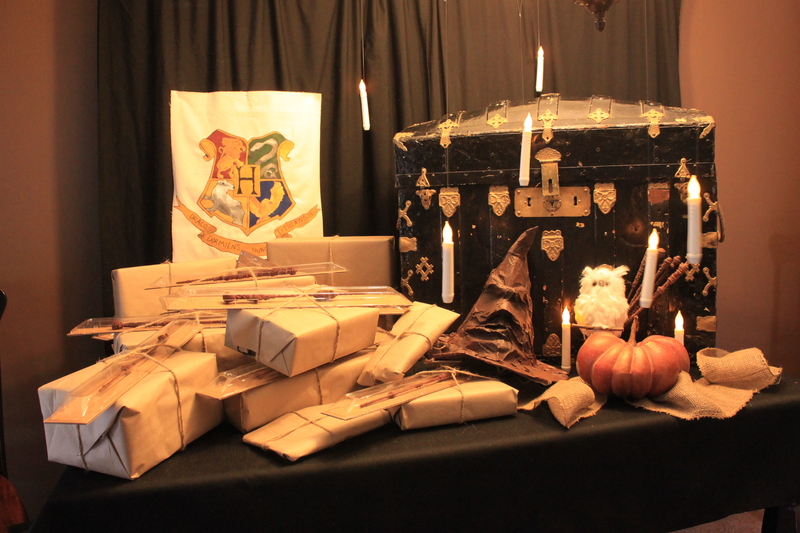 After they were all done they sat down and we passed out the boxes with wands on top. I figured since the wands were all different it was safer to just give them to them as if that is what was chosen for them. 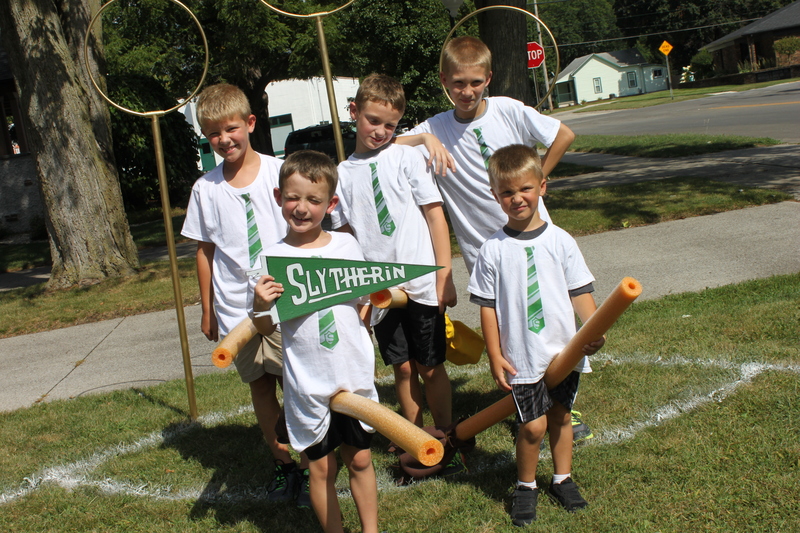 To my surprise not one kid wanted a different wand. 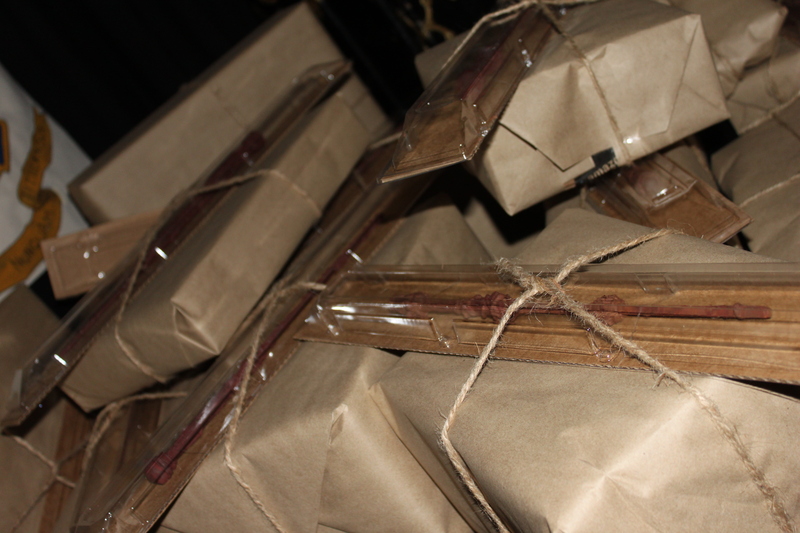 I wrapped the 2 different shirts in all kinds of boxes and wrapped them in shipping paper and twine. The best part was that it looked great on the table. 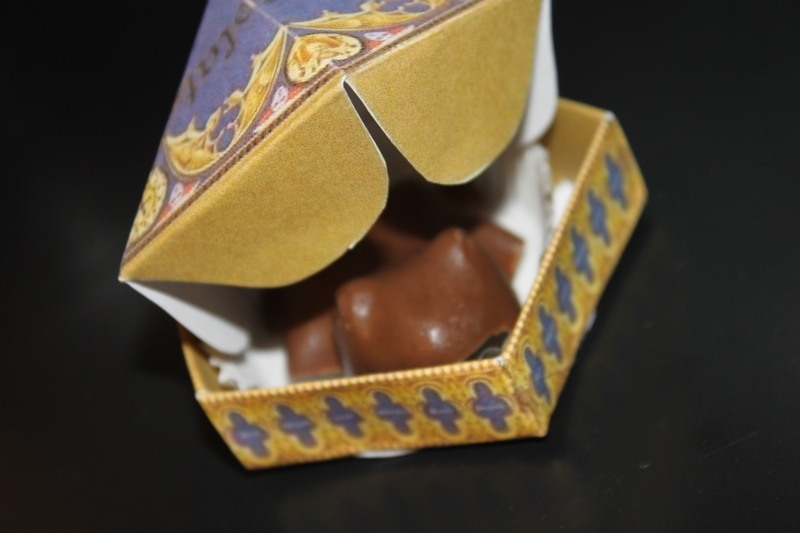 Honeydukes Candy store had some amazing treats. All of which I packed up and gave them as a goodie bag. 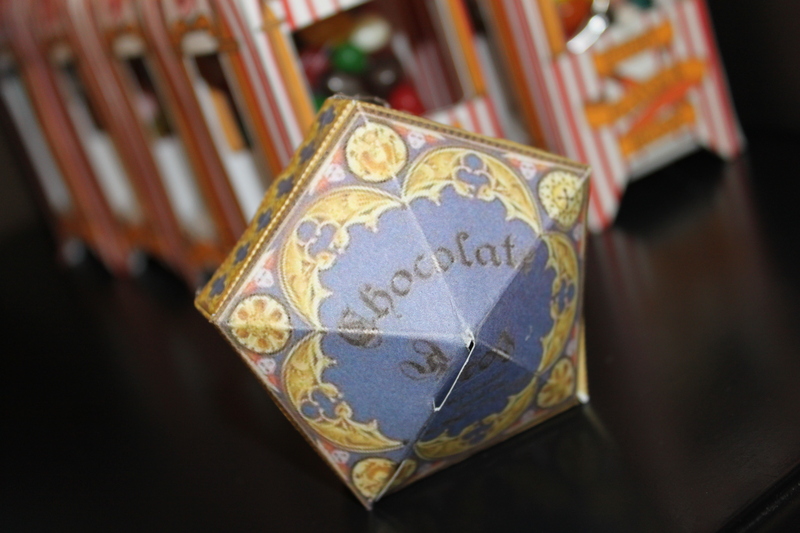 I knew that cake and butter beer was plenty of sugar for our 3 hour window. 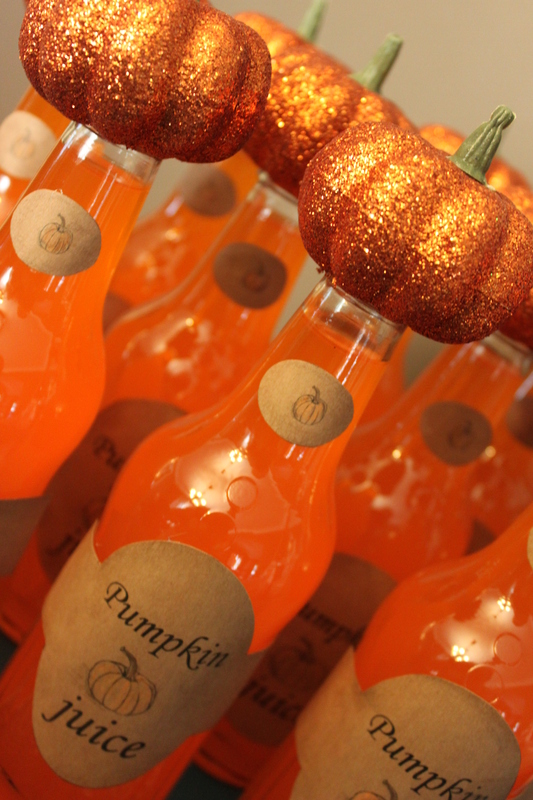 Pumpkin juice… aka Orange Crush. Although I found many ways to make my own on Pinterest I decided that in August no matter how good a tall glass of pumpkin just sounded gross. This was great and a real hit. 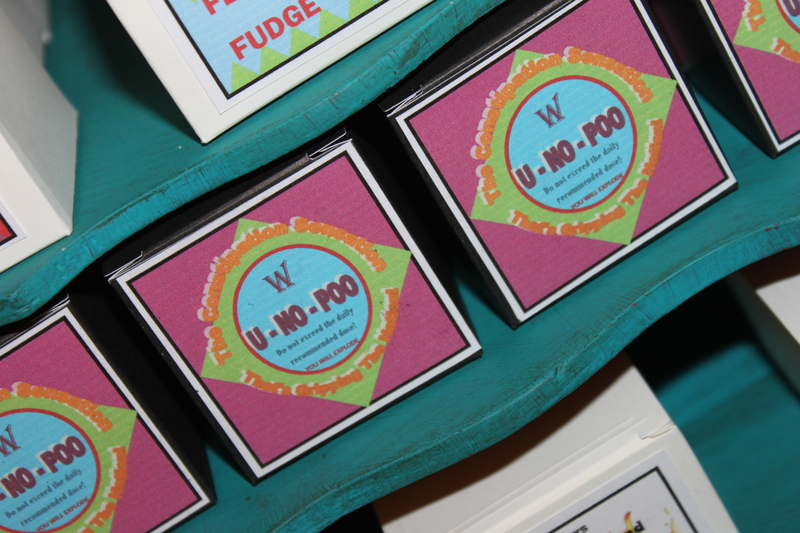 U*NO*POO This is just a box with a label I made. The candy was just giant gum balls. 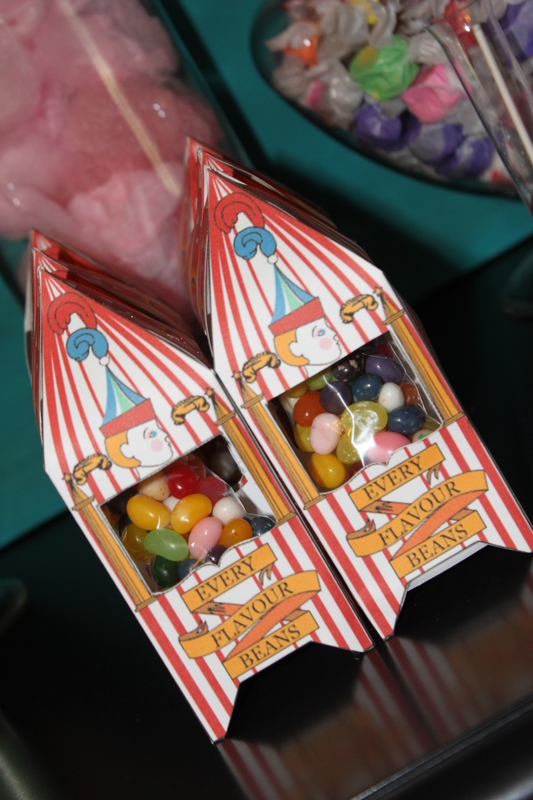 Every Flavor Beans …These were just regular Jelly Bellys but I did buy a few boxes of gross beans for a taste test. 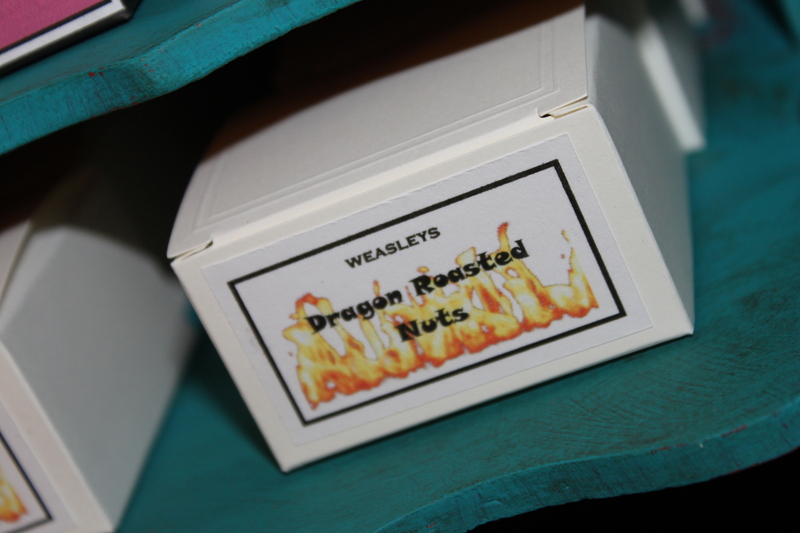 Dragon Roasted Nuts…Honey candied coved peanuts. Milk chocolate candy mold frog. 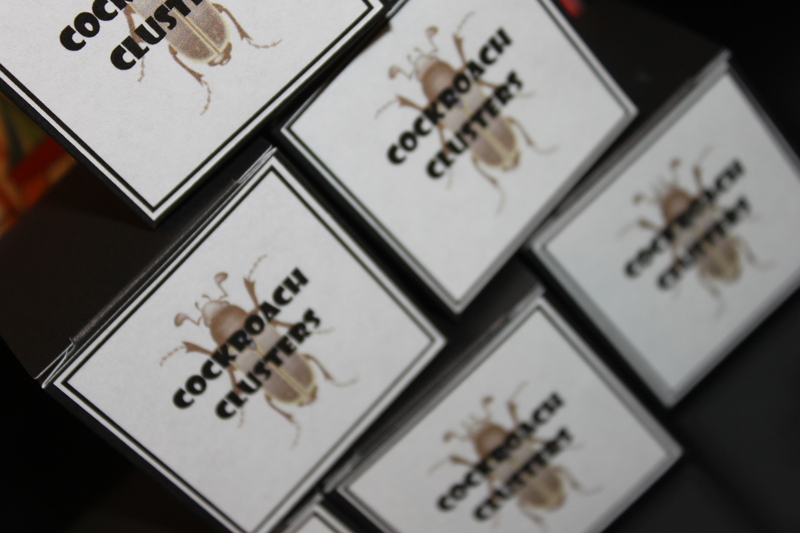 Cockroach Clusters … white chocolate w/pretzel crumbs in a roach candy mold. 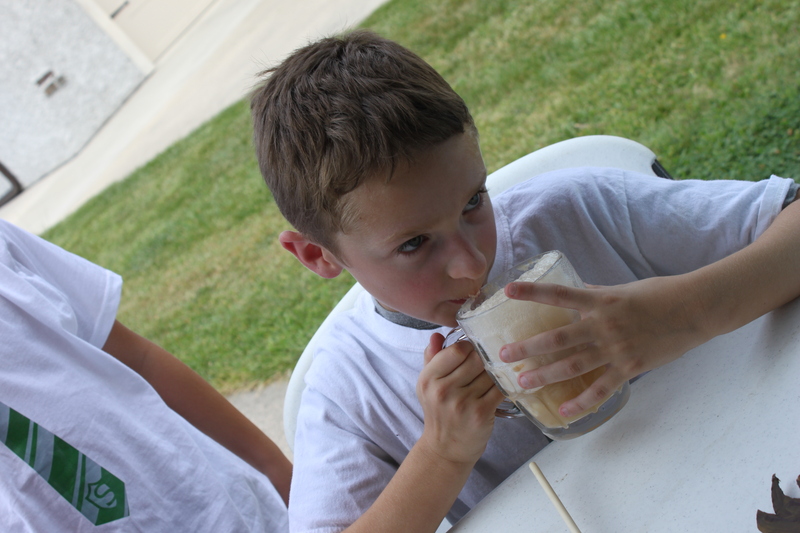 Butterbeer was a very welcome treat on this hot August day. I looked up every copycat recipe in the world, ok maybe not the world, but I felt that I could get away with cream soda ice cream floats. 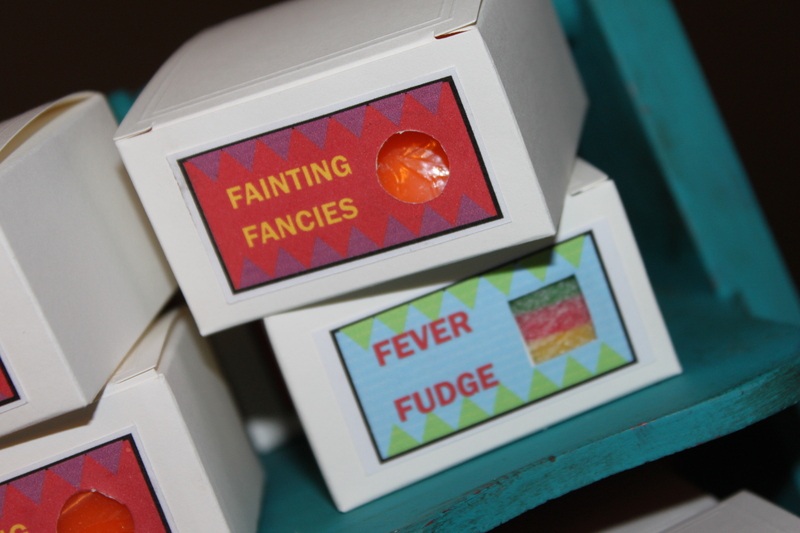 They were wonderful and the kids who have tried the real stuff said these were much better. The birthday cake is inspired by the first movie. This was the easiest/hardest element of this party. It was so hard for me to make intentional imperfections. 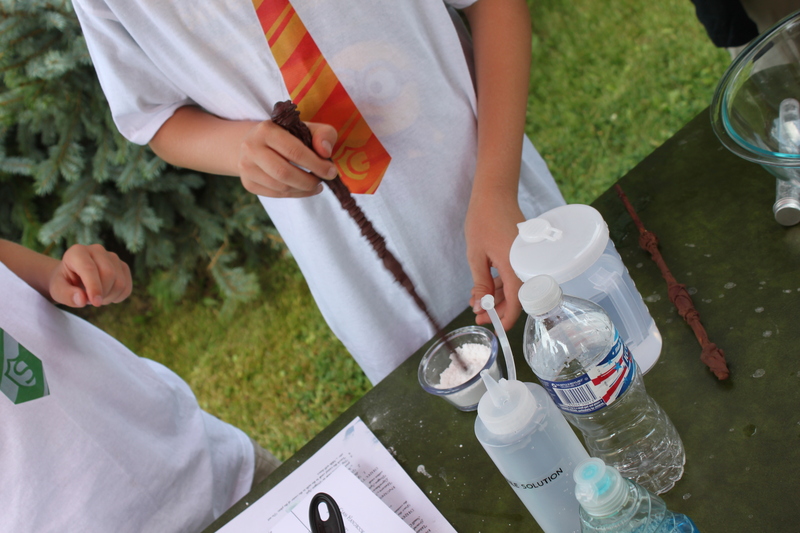 Spells and Explosions was a wonderful success and what kid doesn’t like to make a little mess. 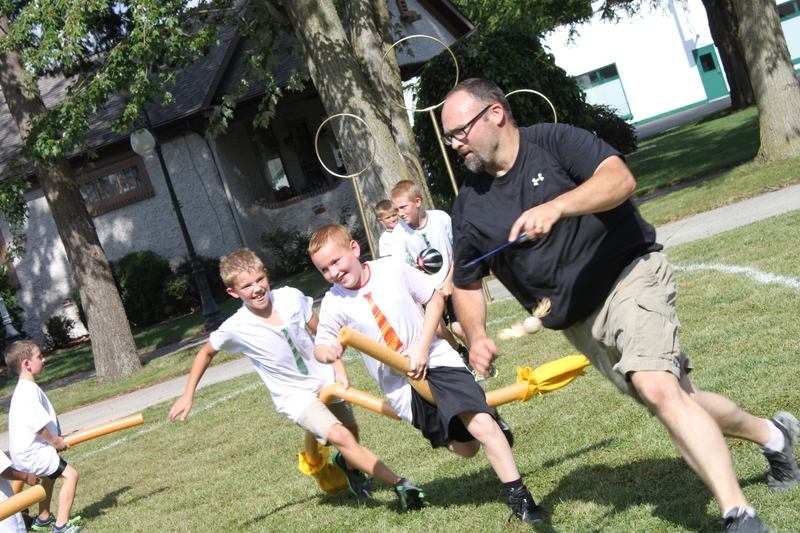 Quidditch was the perfect game for the day! We spry painted the field in the grass. 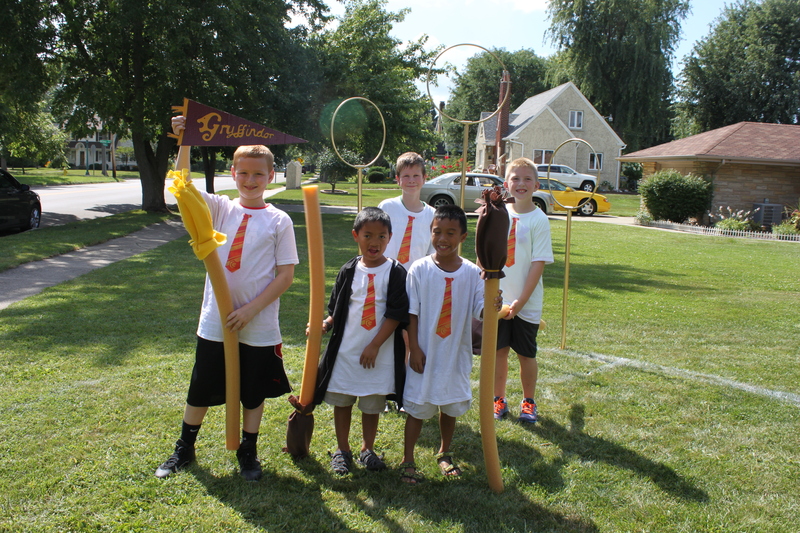 We made goals, brooms, and a quidditch ball for this game. Berties Bott’s Every Flavor Jelly Bean Challenge. 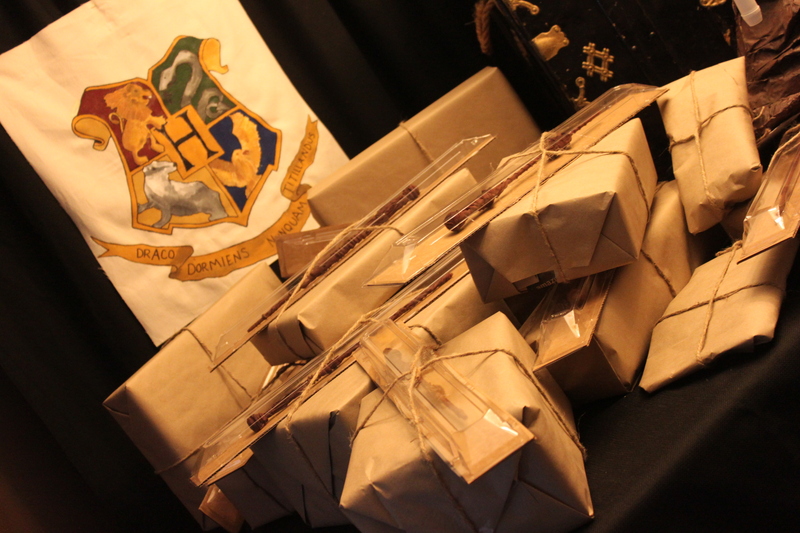 The props were old cardboard boxes painted and cut out. I then attached sticks on the back. 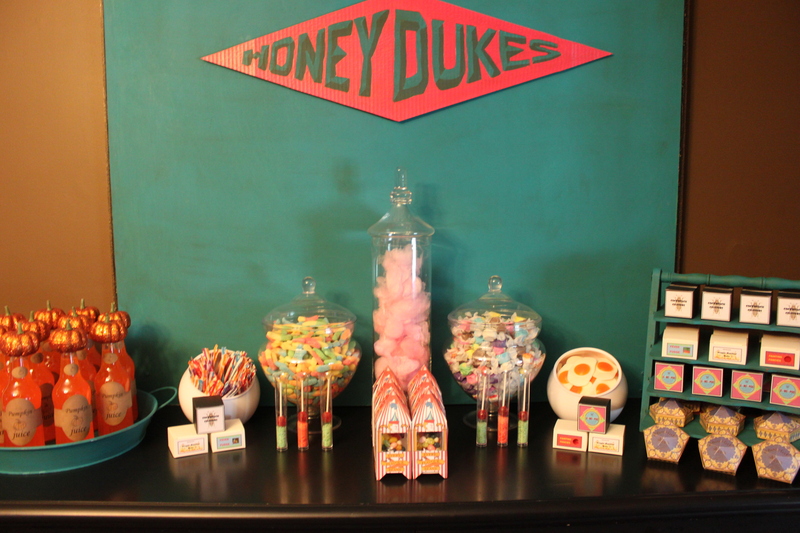 Posted in harry potter wanted sign, Parties and tagged butter beer, candy bar, Harry Potter party, honey dukes, honey dukes candy bar, magic wonds, postions class, sorting hat. Bookmark the permalink. 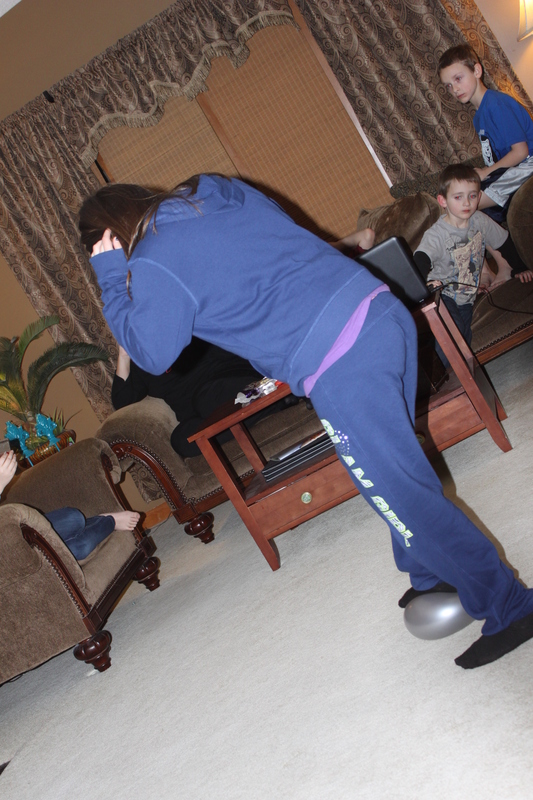 The kids were so excited to have their very own New Years party two years ago. I did drop the ball and did not take very many photos of all of our actives. I put everything together the day before so with a little more planning it could be even more fun. The kids had a blast though and my kids who go to bed at 8 made it all the way to midnight with our hourly activity count down. I was getting ready to take down the tree when I thought what a great way to hold all of our hats, glasses and blowers for midnight. Right before midnight we all went to the tree and picked out our party gear. We had a planned activity or treat planned for every hour. 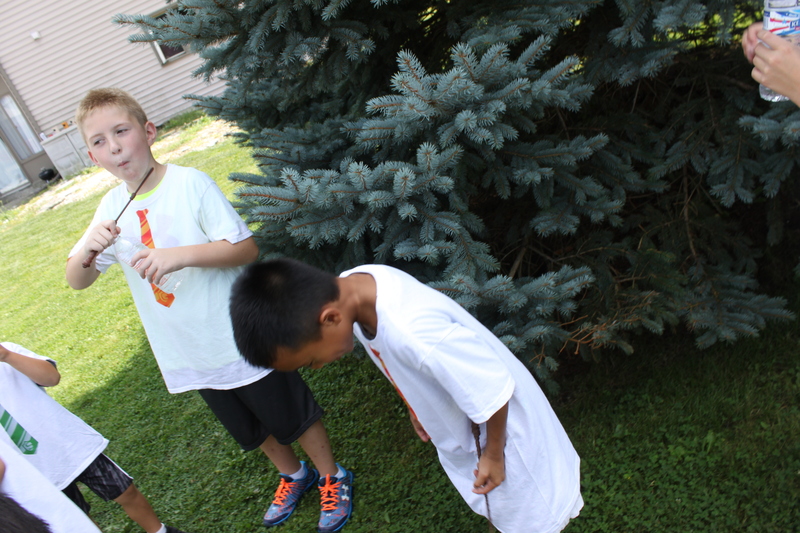 Each child got a chance to pop a balloon labeled with each hour on them. One of the balloons announced a snack of milk and cookies. The kids thought this was very cool. They also got to play the one handed skittle race. They each had the same number of skittles and cups labeled with the colors on them. 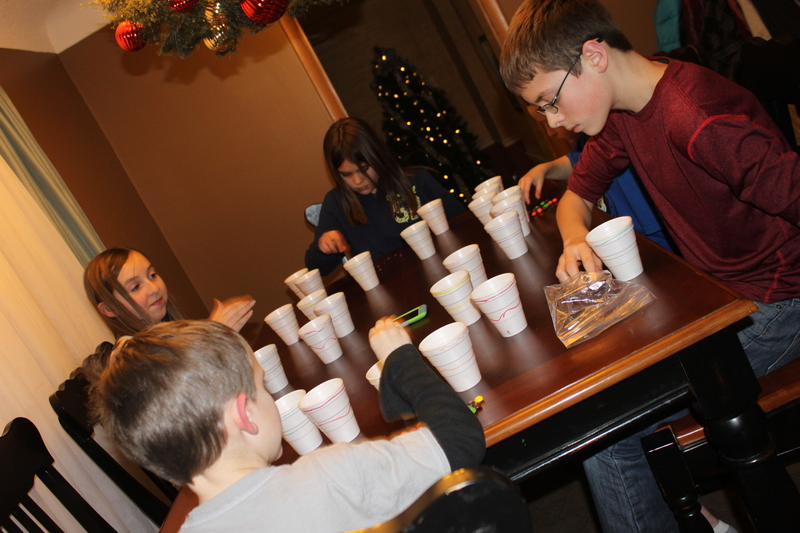 Each kid had to as fast as they could sort the skittles with one hand and put them in the right cup. This started off very cautiously but got very fun and loud as they got close to the end. They also loved eating the skittles at the end. 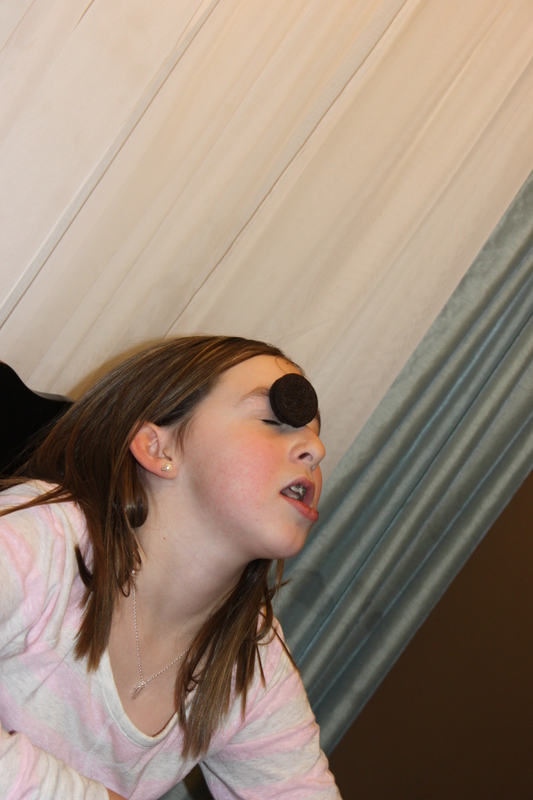 One of the balloons had the game where everyone puts a Oreo on their forehead and by just using the muscles in their faces they try to get the cookie in their mouth. This was a blast to watch the grown ups even joined it. 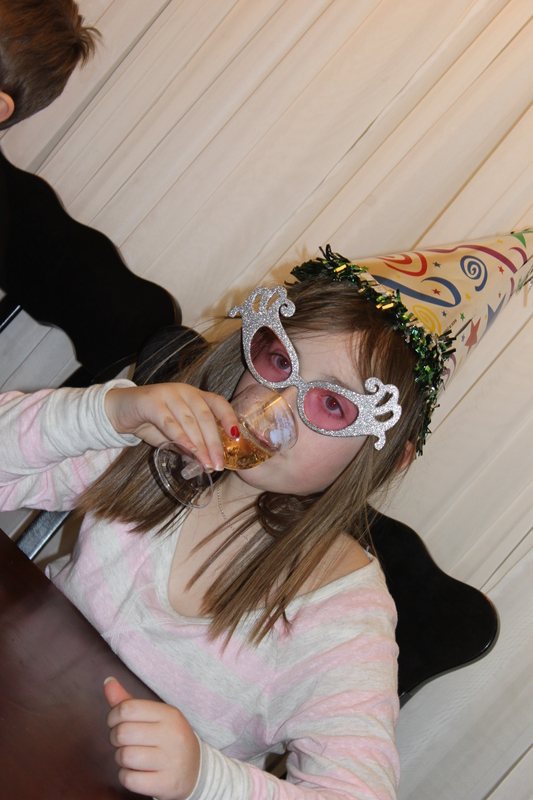 At midnight they toasted in the new year with sparkling grape juice. My 5 year old son wanted to be a astronaut last year (he thought he would be able to fly to China). He had to have a NASA Space Camp Party. 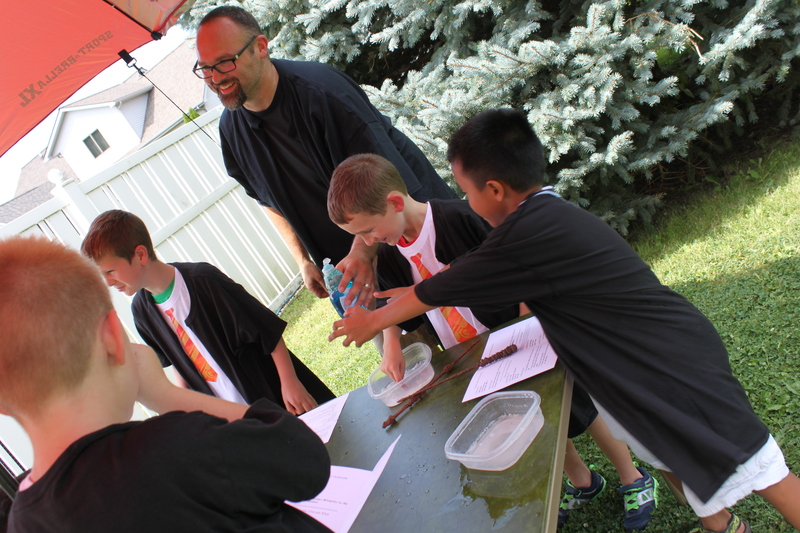 I was a little worried that kids not interested in space would not have fun but they all had a blast. Of course I couldn’t find anything astronaut in stores so we made do with a little paint and cardboard. One of the most important things was that he could look like a astronaut. My solution was to paint one with a face cut out and NASA Space Camp shirts for everyone. Each kid got their photo taken behind the sign and then we made thank you cards online with the images. Everyone in their NASA shirts. Another activity was to get dressed in adult diaper (they thought this was the best) snow paints, snow boots, winter coat, rubber gloves, a and Halloween cauldron with a hole cut out for there faces. They then had to crawl into a big box and preform a handful of task. Adult diapers were a hit! One of our actives was collecting space rocks with our robotic arm. Here we put on our “space gloves” and preformed some important task such as putting a magnet together, opening a bottle, and using a key to open a pad lock. Then we had our space meal. Each tray was a Dollar Tree cookie sheet. the food included a Capri sun, meat stick, apple sauce, and dehydrated fruit bag. everything had Velcro on it and the tray so it wouldn’t fly away. 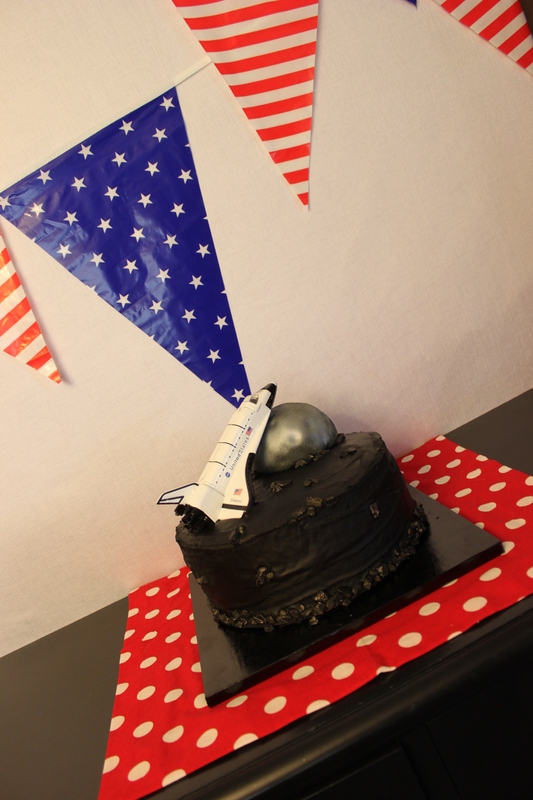 We also had cake and astronaut ice cream. I covered the apple sauce in duck tape. Posted in Parties and tagged astronaut party, astronaut space camp, boys birthday party, NASA party, space camp party, space party. Bookmark the permalink. 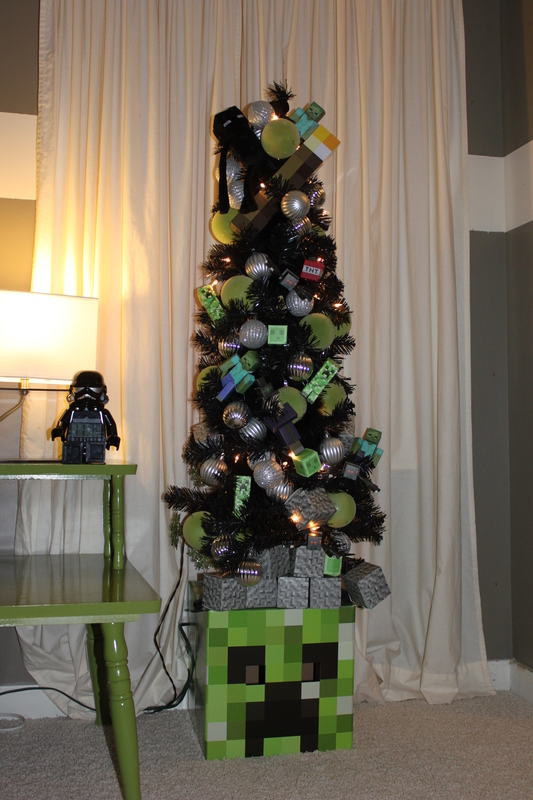 Nothing made my son happier than when he walked into his room and saw his Mindcraft tree. The tree included the base that was a cardboard box sold as a mask. The mask had also been used for his birthday party this year. After the photo I placed black paper behind the eye holes. The ornaments included a few toys but like the torch on the top and a few plastic toys but most items were in a kit that you fold and make paper characters. I also had a few green ornaments from past years that I used. I enjoy making there tiny trees special and completely different each year but hate will not buy items we didn’t already have or won’t use or play with later. My favorite thing is when we can just use toys we already have. No one ever said it has to be made for charismas to put on a tree. Posted in Christmas trees, Holidays and tagged mindcraft, mindcraft christmas tree, Mindcraft decor. Bookmark the permalink. 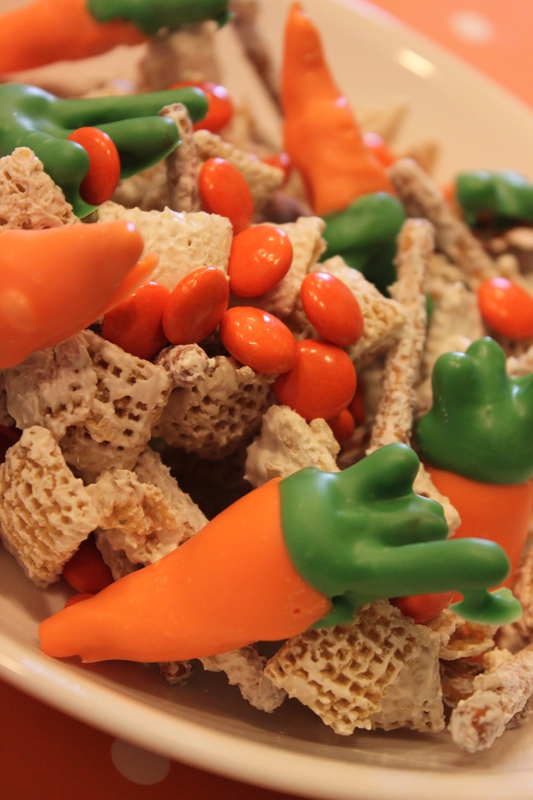 I first made this snack mix a few years ago with Santa hats ( https://danielleyarian.wordpress.com/2014/01/06/santa-hat-chex-mix/) and instantly imagined making it with carrots the following year for Easter. I finally made it happen and here it is. 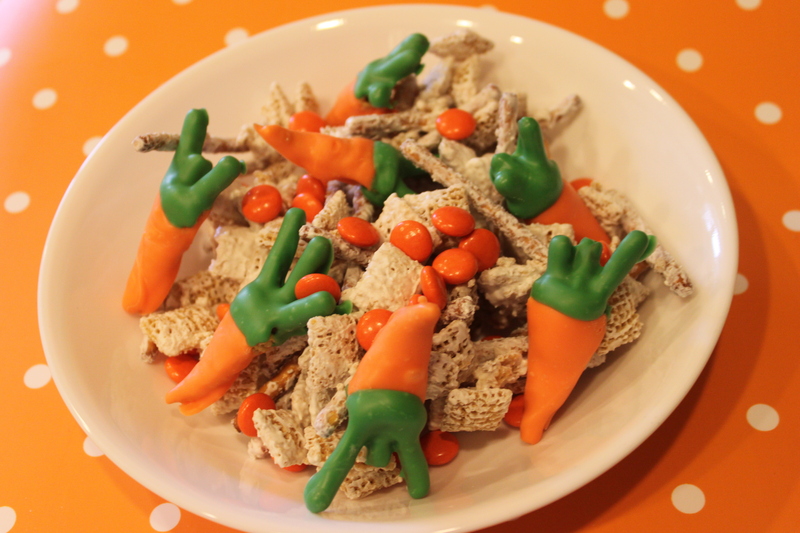 This is a simple mix that you could put any snack items in you would like. 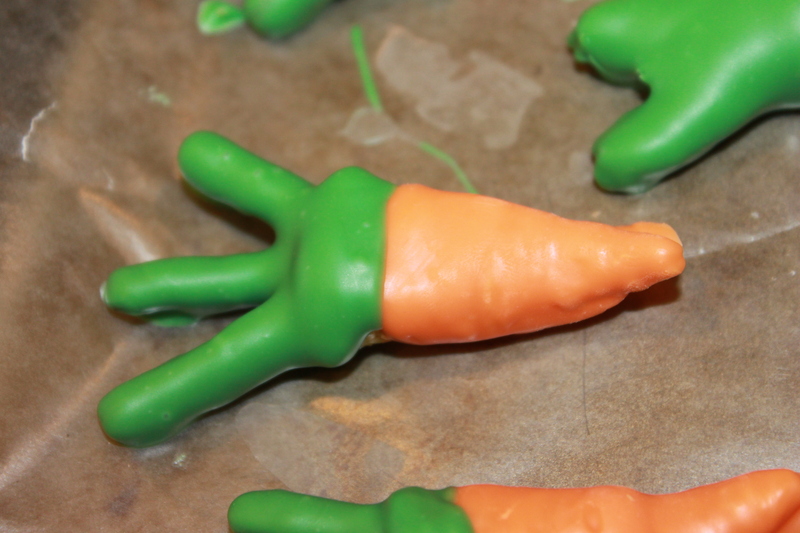 I made the carrots by using a broken pretzel and Bugle. Dip tip of chip into orange chocolate not getting any in the opening. Then let cool in freezer for a few min. 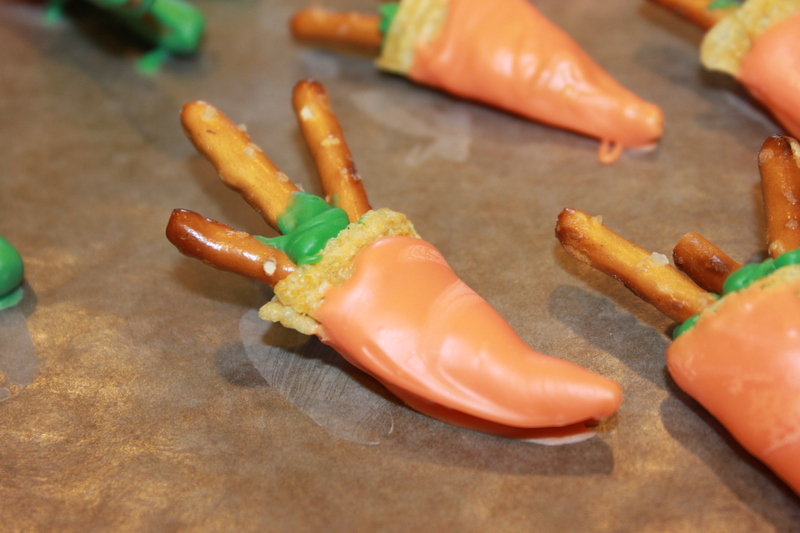 Next dip tips of the pretzels in the green chocolate and place in the opening. Then let cool in freezer again for a few min to sit up. After cool dip the pretzel end into the green chocolate. 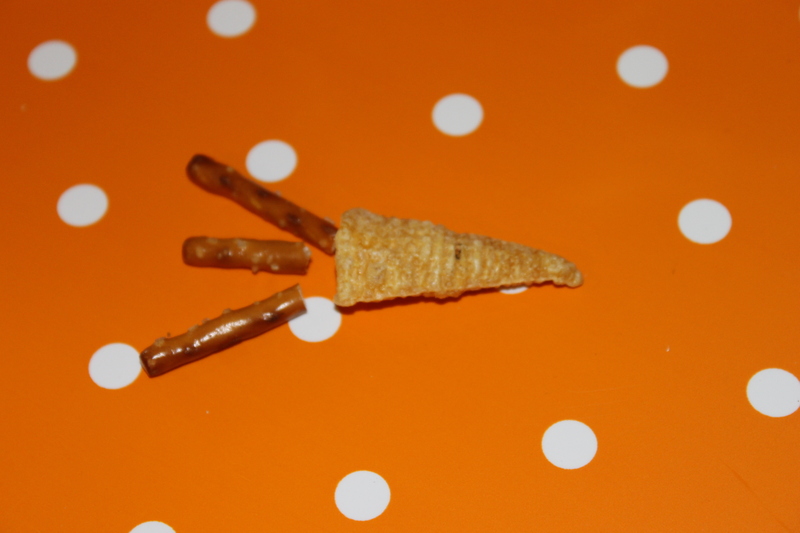 Let cool while finishing the Chex mix. In a large bowl place Chex and pretzels. Place on a lid and shake or mix with a spoon. I place mine in freezer until chocolate is set. When done brake it apart and place it in a bag or clean bowl. 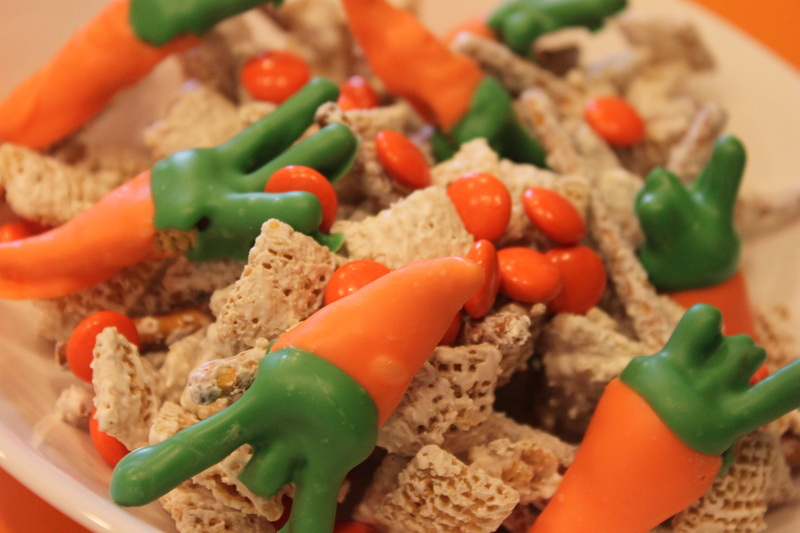 When ready to serve or putting in goodie bags is when I mix in the M&M’s and carrots. This limits the amount of white chocolate that comes off and looks like powdered sugar as it is moved around. 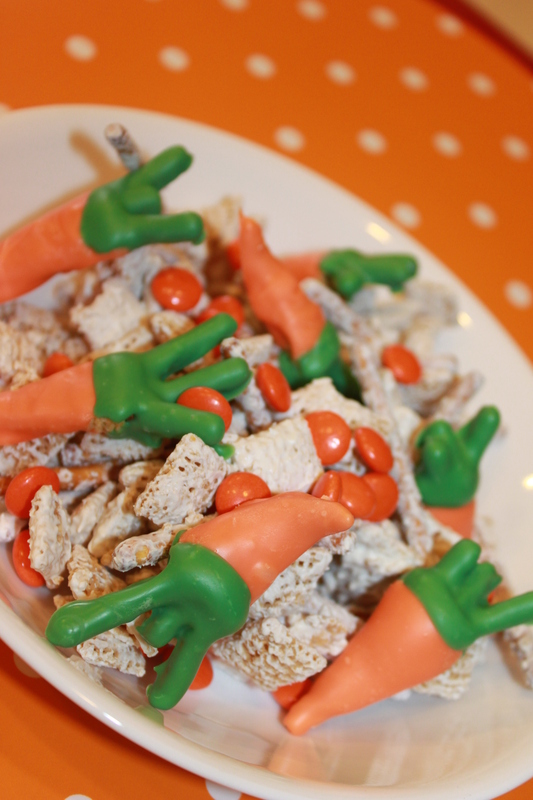 Posted in Food, Gifts, Holidays and tagged Carrot, Carrot Bugles, carrot snack mix, chex mix, Easter, Easter candy, easter goodie bags, Easter snacks, santa hat mix, white choloclate chex mix. Bookmark the permalink. 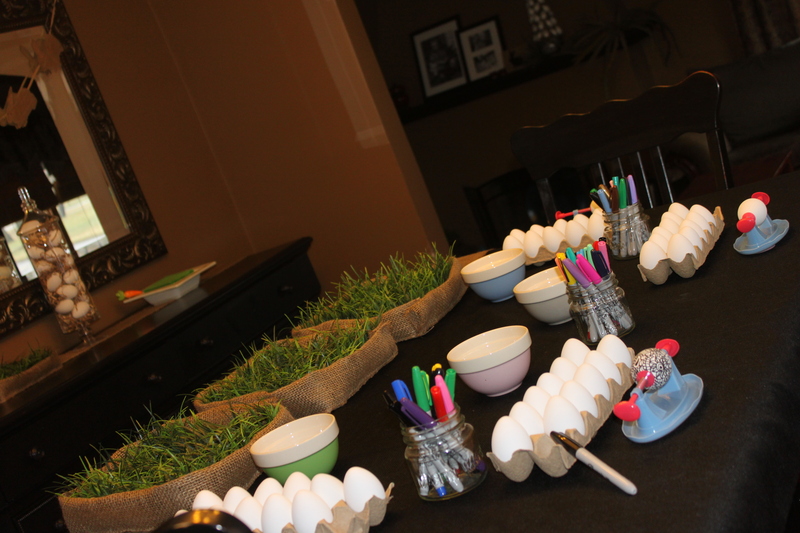 Decorating eggs can be so messy especially when you have a group of kids trying to decorate all at once. Sharpies are the perfect solution. No wet sloppy dies that get all over everything and tie dye your fingers. Easy to control markers do the trick. The best part is what kid doesn’t love sharpies. 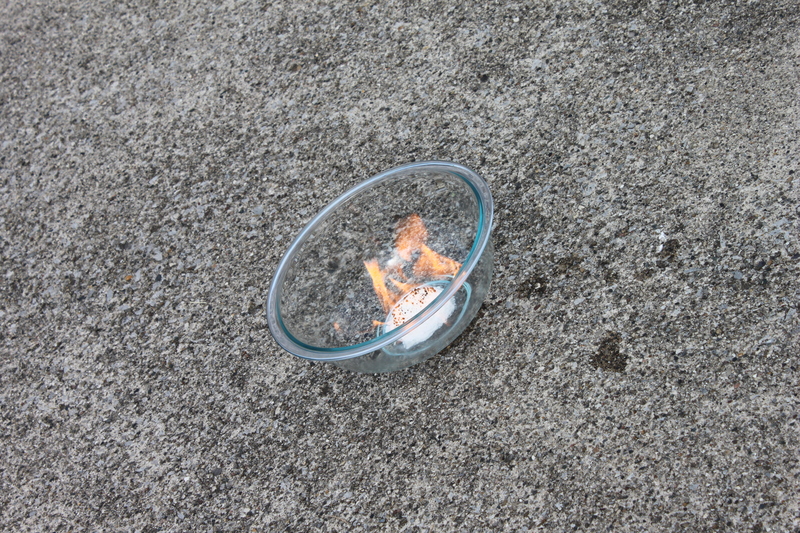 We used plastic die able eggs so we could keep them year after year. The eggs are $1.97 at Walmart for 12 and die just like real eggs. Not only easy and fun but super cheap. You can do black and white or any color your heart desires. 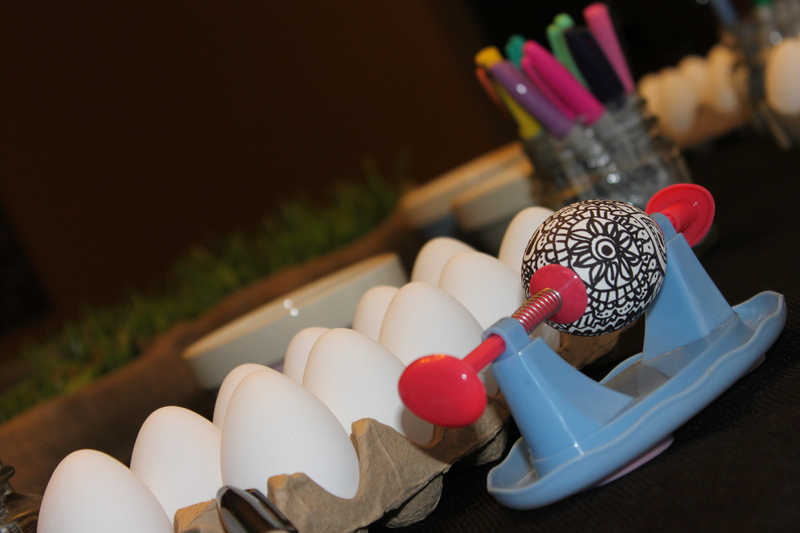 Posted in Crafts, Holidays, Parties and tagged Easter egg decorating, easter eggs, easter party, Sharpie crafts, sharpie egg decorating, sharpies. Bookmark the permalink.